No styrofoam cake, no fanfare, no crowds. Your correspondent continues to read books and think about their contents and form. I am writing ‘ A Conversation larger than the Universe ’, a short nonfiction book on science fiction and the literature of the fantastic, to accompany the exhibition of the same name	scheduled at the Grolier Club in January 2018. Details will be forthcoming. In the interim, communications here are brief. 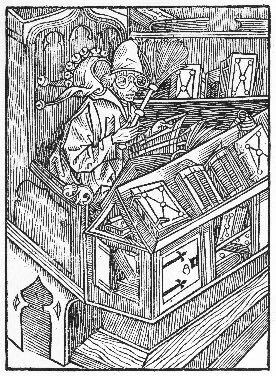 Your correspondent will be in Oakland for the California International Antiquarian Book Fair 9-12 February, at booth 217 (James Cummins Bookseller). Copies of Donald Trump The Magazine of Poetry will be available. In March, look for me at booth A-1 at the New York Antiquarian Book Fair. Come say hello. The next update, March 2017, will see a redesign of the ’shelf. Send me your news. — Emmanuelle Loyer. Lévi-Strauss. Flammarion, . Biography of Claude Lévi-Strauss. The first three pages are a brilliant portrait of Lévi-Strauss in miniature, a tour of his bibliothèque circumnavigatrice (circumnavigating library) encompassing the world. — Nonstop Metropolis. A New York City Atlas &c. Editors Rebecca Solnit and Joshua Jelly-Schapiro. University of California Press, . Everybody has a sense of humor. Use it. — Viktor Koen. Bestiary. Bizarre Myths & Chimeric Fantasies. Edited by Ellen Datlow, Introduction by Jack Ketchum. [Hellenic Center for Photography / 010 Editions, 2015 (i.e., 2016)]. 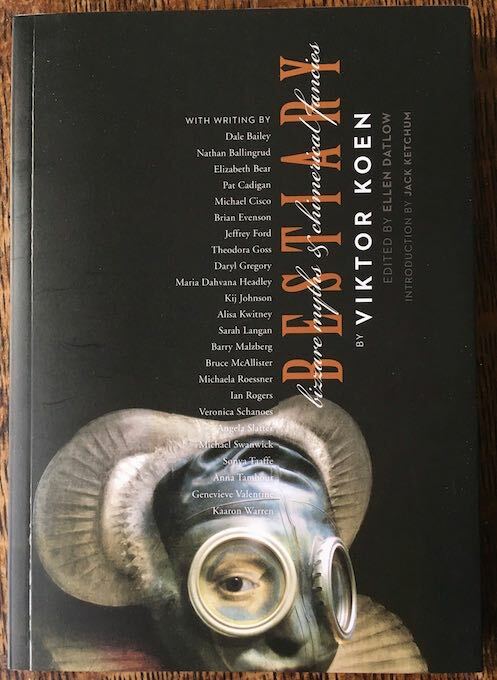 A pantheon of new myth, a collection of 24 short fantastical stories inspired by the tintypes of Viktor Koen. — Scheherazade’s Children. Global Encounters with the Arabian Nights. Edited by Philip F. Kennedy and Marina Warner. New York University Press / Abu Dhabi Arabic Institute, . Excellent collection of essays on the Arabian Nights : “ Scheherazade was a feminist centuries before the word became part of western society, ” as Alia Yunis writes in her afterword. — Thomas M. Disch. Camp Concentration. Doubleday, 1969. — Lord Dunsany. The King of Elfland’s Daughter. G. P. Putnam’s Sons, [May, 1924]. — Michael Swanwick. Midwinter Fables. [Dragonstairs, 2016]. Three short tales in which he re-writes the life and fables of Aesop !